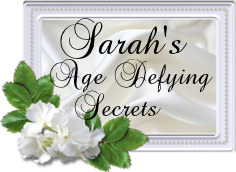 A Luxurious Age Defying Silk Peptide Cream. This Premium Creme Is First-Class In Every Regard. Smooth as silk skin is not just an expression anymore. Silk Peptide Revita Lift Creme brings that meaning to life by truly delivering a smooth as silk, luxuriously rich and deeply hydrating moisturizing drink to the skin. This unctuous creme melts away deliciously into the skin and provides intense hydration and lasting comfort thanks to its creamy, velutinous texture. The skin is re-plumped and delicately nourished. You'll not find any other silk cream on the market today that compares to unique, high content blend. Silk Peptide Vita Lift Cream is formulated with the highest concentration of real Silk Peptide Powder (hydrolyzed silk protein) to ensure peak, superior Performance. Silk peptide powder contains 18 different amino acids, including serine and glycine also in high quantity volume which imparts luxurious slip and glide sheen, while stimulating moisture binding substances, boosts absorption, and provides even the driest skin the look and feel of lasting supple, silken sheen. Then add the soothing benefits of Organic Aloe, moisture rich Organic Coconut and Jojoba Oils, Grape and Avocado Oils too, plus nourishing Vitamin E and Organic Neem, making this silken creme a royal treat that’s not to be missed. Excellent as a hydrating facial moisturizer, sits perfectly under make-up, or use it as an indulgent full body massage creme. This natural protein Cream helps skin retain its moisture and elasticity, and gives it a smooth, youthful, silky feel. Silk Peptide Revita Lift is formulated by a combination of natural immuno-modulator from silk for suppressing hypersensitive immune response without side effects. Also contains natural moisturizing agents with essential epidermal lipids for preventing dryness of skin by restoring healthy skin barrier function. Almost anyone can benefit from silk peptides, because they contain wrinkle-reducing properties that rejuvinates skin. This ultimately leads to eliminating fine lines and wrinkles. Also employed S.R.F. (sebum regulating factor), which can normalize the sebum secretion for both dry and oily skin, makes all types of skin obtaining perfect caring result. Continual use will help you wipe away fine lines and wrinkles, promote skin’s cell structure and give skin a firm, elastic, and super silky appearance. Use on all dry rough areas, elbows, knees, callus's, etc., penetrates deep and locks in moisture, yet lets the skin breath, and does not clog pores. The results: Incredibly silky soft skin, almost over night. Silk peptides are extracted from natural cocoon of silkworm and are obtained by the advanced hydrolysis process. These worms (Yes, real worms) spin a yarn (or silk) full of enzymes. Yet, the protein part (the inside of the silk), is used in skin care products. Peptides are amino acids that make up the proteins in the skin. When peptides are in a short chain of amino acids, they have the ability to penetrate the upper layer of the skin. Research found that silk protein contains the 18 essential and non-essential amino acids, which include 8 essential amino acids that cannot be manufactured by our body. This Silk Cream is non-irritating to the skin and eyes, is non-toxic, and leaves no allergic reaction. Silk has been the most treasured natural fiber since it was discovered in China in 2700 BC. Because of its natural sheen, delightul feel and remarkable high conductive strength, it is often called the Queen of Textiles, and there was a time in the history when silk literally worth its own weight in gold. Silk is the very strand of fiber that is solidified protein secretion produced by certain caterpillars to encase themselves in the form of cocoons. Silk Peptide is the same silk from the cocoons that silk clotes, scarves etc. are made from. Silk Peptides are a highly purified grade of natural silk power, processed in such a way as to retain the original physical structure and chemical composition of silk. Natural Sourcing Superfine Silk Powder is meticulously processed to preserve the natural amino acid and trace mineral composition and physical structure of cocoon silk. To produce the powder, milled, raw silk fiber undergoes alkaline hydrolysis, dealkylation. Silk Peptides have a chemical composition that is very close to that of human skin making it a wonderful source of nourishment and maintenance. Similar to collagen, elastin, keratin, and sporgin, and is an essential constituent of cocoon filament. Silk is one of the most amazing materials in the natural world. Silk Peptide Revita Lift is highly effective in relieving the symptoms of atopic dermatitis. Scientifically proven Silk Peptide is safe and innovative skin care products for babies, children and adults with skin disorder like itchy rash, chronic inflammation and eczema. A strain of yeast that causes inflammatory skin conditions, including eczema can now be killed by the protein peptides, researchers say. Our High Concentrated Silk Peptide Cream hydrates and protects the skin from frequent aggressions that can irritate and help trigger eczema or dermatitis attacks. Provides an intense and long-lasting moisturizing, soothes and helps repair skin which is damaged by eczema or dermatitis. Apply extensively at night on skin irritated by eczema or dermatitis. Apply extensively on irritated skin during the day and massage the cream until complete penetration. Use as frequently as needed. They are great molecules that will soak up and deliver moisture into our skin. They are natural proteins; and protein is made from amino acids. Our skin is made of protein and rich in amino acids and so they help to strengthen and repair the damaged skin. The smaller silk peptide and amino acid molecules are small enough to get through the top layers of our skin and into the dermis. Once in the dermis, they have been known to boost collagen production and which in turn improves the look of the skin making it plumper and younger looking. The larger molecular silk proteins do moisturize the skin but in addition they add to the skins barrier function. This natural protein makes a light-weight, breathable film on the surface of the skin protection from various environmental stresses leaving a soft and shinning lift. No matter what age you are, or what your skin type might be, Make Amazing silk peptide proteins, your daily skin care routine. Silk Peptide Revita Lift Cream has the very highest percentage of silk peptides which, when absorbed into the skin cells, creates stronge firmer clearer skin. This beloved cream also provides a physical block against environmental pollution and sun damage. Directions for use as facial creme: Moisturize your face and neck with creme every morning and/or night, after you cleanse and tone. Always moisturize your face and neck in upward motions. Moisturizing is important for all skin types. In every step of skin care, always use circular, upward motions with a gentle touch on your face. Don't help gravity by tugging down on your skin, and remember that the skin on your face loves you, so you should love it. 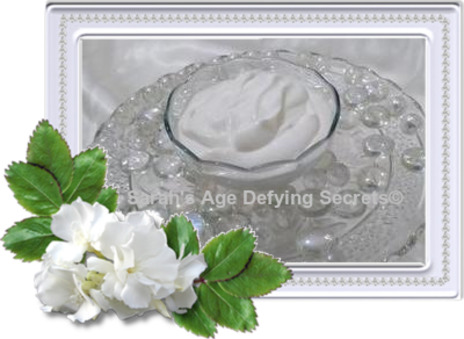 Directions for use as Body Creme: Indulge in the pleasure of pure silk over the entire body. Apply to entire body as often as needed throughout the day to hydrate and nourish the skin. Pay special attention to hands, feet, elbows and any other area of your body that is prone to dry skin. What an incredible experience. It actually makes your skin feel like silk. Take off the leather and put on the silk and have yourself a party tonight. Organic Aloe Leaf Juice, Organic Coconut Oil, Emulsifying Wax, Stearic Acid, Glycerin, Organic Jojoba Seed Oil, Grape Seed Oil, Avocado Fruit Oil, Witch Hazel Water, Vitamin E, Sunflower Seed Oil, Phenoxyethanol, Hydrolyzed Silk Peptides, Organic White Willow Bark Extract, Organic Neem Seed Oil, Organic Rosemary Leaf Extract, Organic Sunflower Seed Oil, Organic Alcohol, Xanthan Gum, Tetrasodium Glutamate Diacetate.